Jordan Thomas says he's not a proponent of hyperbole just to make a point. But with this issue, he doesn't see any other way to describe it. "The sky is falling," he said. 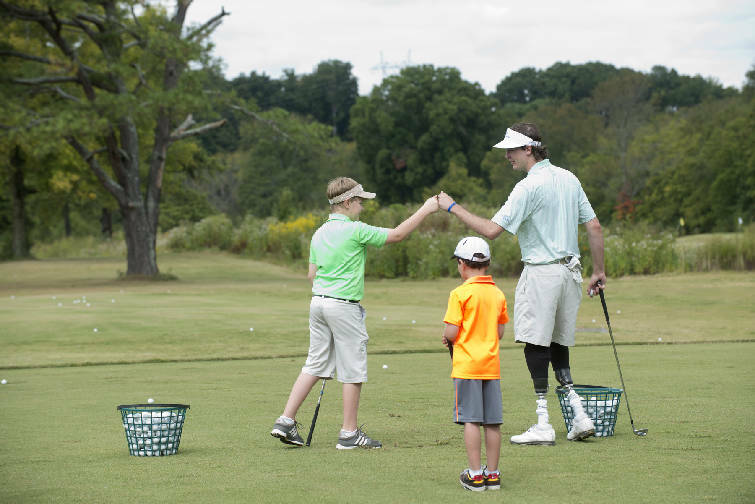 Thomas, a graduate of McCallie School, is the founder of the Jordan Thomas Foundation, which provides child amputees with prostheses. He's been a strong proponent of rights for amputees since age 16, when he lost both legs from the calf down in a boating accident. What Thomas and thousands of amputees are upset about is a proposed draft of Medicare's Local Coverage Determination Article on Lower Limb Prostheses. If implemented, the proposal would drastically reduce the standard of care for amputees in America by changing the evaluation process and reducing access to high-tech prostheses, he said. Mark Stubbs, owner of Stubbs Prosthetics & Orthotics in Chattanooga, called the proposal "very frightening" and said his company is doing everything it can to stop it. "If they do this," Stubbs said, "we're basically going to be in the Civil War days with peg legs." The Amputee Coalition of America also has made several statements criticizing the proposal. Even though the rule would be written for Medicare, private insurance agencies often follow Medicare's lead, so eventually all the estimated 2 million amputees in America would be affected. The Centers for Medicare and Medicaid Services did not respond a request for comment. But CMS made a statement about the proposal Thursday to a TV station in Virginia, in which it said it believes beneficiaries still will have access to what they need. "CMS believes that Medicare beneficiaries will continue to have access to lower-limb prosthetics that are appropriate, and the intent of this proposed local coverage determination (LCD) is not meant to restrict any medically necessary prosthesis," the statement said. "As a proposed LCD, we welcome comments from the public and stakeholders on how to improve the proposal so that Medicare beneficiaries are able to get the lower-limb prosthetics they need." The proposal is a dense, 40-page document containing several points. Among the big changes: Patients' potential — in addition to their current condition — would no longer be considered; amputees would be given simpler prostheses instead of more technologically advanced items, and options for foot and ankle prostheses would be limited. Another effect, Thomas said, is that development in prosthetic technology would be stopped. Eliminating expensive technologies takes away incentive for companies to develop new technologies, he said. "This is absolutely egregious," Thomas said. Stubbs agreed with Thomas, and said companies that make prosthetics will go out of business. But he said the people who will be most affected are the patients. "It's going to affect patient care immensely," Stubbs said. "It's going to make it hard on the amputee. We're not going to be able to move forward at all." Thousands of others agree. A petition on the White House website calling for the proposal to be rescinded says if implemented, it would be like "returning amputees to the 1970s standards of care." The website says that if any petition garners 100,000 or more signatures, the White House has to "review it, ensure it's sent to the appropriate policy experts, and issue an official response." As of Friday, the petition had 105,963 signatures, meaning the White House will have to make a statement on the issue. "I have tremendous pride and tremendous honor in our population," Thomas said of the response of his community. There will be a public meeting to discuss the proposal Wednesday from 8 a.m. to noon EDT in Linthicum, Md.